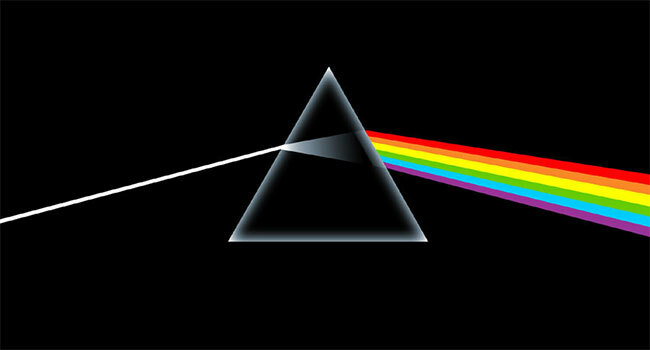 The legendary original artwork for Pink Floyd’s Dark Side of the Moon, considered to be the single most valuable artwork in rock history, will be exhibited and available for acquisition at the San Francisco Art Exchange (SFAE) gallery September 15th to October 20th. Dark Side of the Moon will be accompanied in the exhibition by nearly 100 epic original works utilized for the covers of iconic albums such as Wish You Were Here, Abbey Road, Rubber Soul, Meet The Beatles, The Wall, Beggars Banquet, Candy-O (Alberto Vargas), Ummagumma, Hair, The Best of the Doors, Bob Dylan’s Blonde on Blonde, Johnny Cash’s At Folsom Prison, and Yes album originals including Relayer and Yesshows, along with scores of other of the most memorable and revered popular images of the 20th century. Bands represented by the art in this collection include Pink Floyd, The Beatles, The Rolling Stones, The Who, Bob Dylan, Grateful Dead, Yes, The Doors, Eric Clapton, David Bowie, Johnny Cash, Jimi Hendrix, Black Sabbath, Blind Faith, Cream, Led Zeppelin, Allman Brothers, Lou Reed, Queen, Crosby Stills and Nash, Jethro Tull and many more.